Who does most of the talking at your ceremony? Your wedding officiant! So you want to ensure a comfortable ‘fit’ with the person officiating your wedding. We suggest that you interview the person who is going to preside over your ceremony. Warmth, humour and a personal easy-going approach can bring a smile to any nervous bride’s (and groom’s face)! 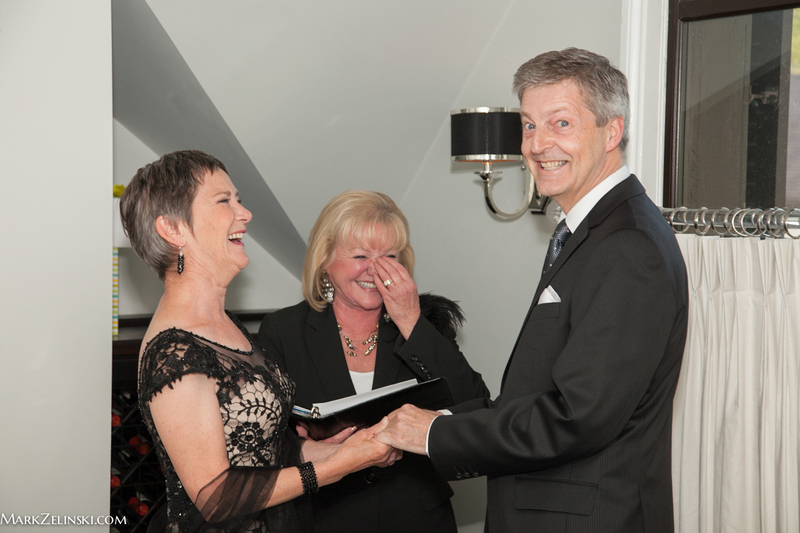 Ask if your officiant is licenced to solemnize wedding ceremonies in the Province of Ontario? (if not, your wedding will not recognized as legal by the government. )Hint: every licenced officiant has a registration number assigned by the government. Is your wedding officiant/company willing to provide a “contract” if you wish, or at least a receipt for your deposit clearly specifying the contracted date and time of your ceremony? 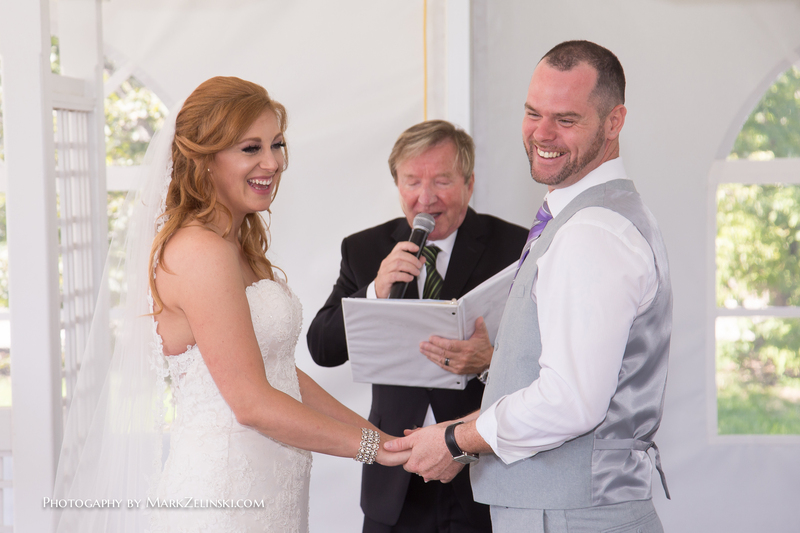 What kind of ceremony choices does your wedding officiant offer? One only? Or just a choice between a religious one or a non-religious one? Does your wedding officiant work from a “fixed text ceremony?” (that means that his/her ceremony text is the same, word for word for every couple) . Is your wedding officiant willing to let you to personalize your wedding ceremony and offer you choices- such as different texts, suggestions about wedding traditions? Is he/she willing to give you help with writing your own vows? 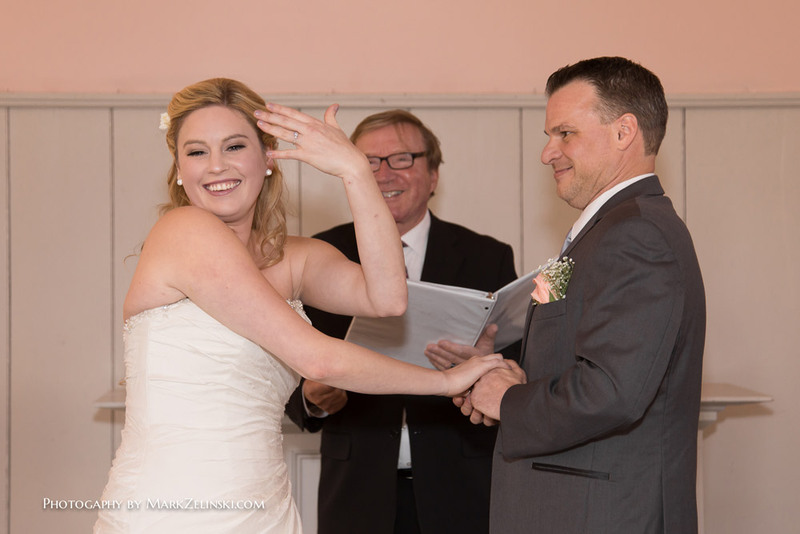 Does your officiant give you information about wedding paper work? What exactly is included in your fee? Will you be getting an opportunity to meet with your officiant and to go over your wedding ceremony before it takes place? Or does the service your officiant provides consist of “walk-in and read from the book”? To get married a couple must purchase a WEDDING LICENCE at any City/Town Hall (Clerk’s Office) in the Province of Ontario. Your Wedding licence is valid anywhere in the Province of Ontario for 90 days. After that your licence expires. We have given an example link – The City of Burlington, Marriage Licence Information . All city/town halls have virtually the same guidelines for wedding licences and provide useful information and links. Check your city hall’s website or call them before you go there. On the day of the wedding, you (and your witnesses) write/sign (not print) your names as they appear on the MARRIAGE LICENCE form. The person who marries you is required by law to mail your licence for registration to the Registrar General of the Province of Ontario. This is a detachable portion of your marriage licence which the person who marries you fills in (together with your witnesses) and gives to you. This is a now simply a record of your marriage and is no longer recognized as a legal document by the Province of Ontario. Consequently the Province of Ontario strongly advises couples to apply for the “Certificate of Marriage.” In most cases the City Hall where you bought your wedding licence will give you an application form. But you can also obtain this certificate in various ways. (See our attachment). Couples, their witnesses and the person who marries them write their names into a MARRIAGE REGISTER. This register is a legal document back-up to your marriage and is government property. All persons registered to officiate marriages in the Provinces of Ontario must have a Marriage Register as a back-up record of your marriage.